What a beautiful scrapbook page and love the cute pumpkin too! Love these projects! 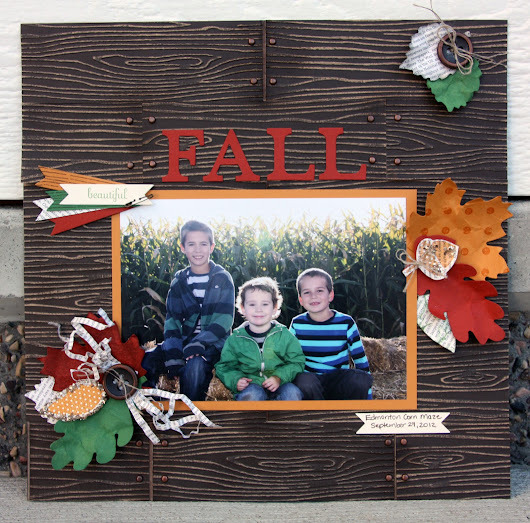 The scrap page is beautiful and the little pumpkin could not be any cuter!! LOVE the wood panels on that page. My goodness I love them! Your projects are awesome, Amy! I love the wooden panels, they look so real! Great background in your layout. I def need to use for one of my next layouts too!